When we were newly married, my hubby used to make impromptu demands for something sweet post dinner. Let me tell you, he isn't the types who you can please with cakes and mithai stored in fridge. He is very picky about food, which has been a blessing in disguise for me. For, had it not been his tantrums, I wouldn't have focussed so much on getting my dishes right. Well, coming to pancakes. Pancakes in my life reinforce the saying "practice makes a man woman perfect! "I love pancakes so much that I can prepare them anytime of the day. 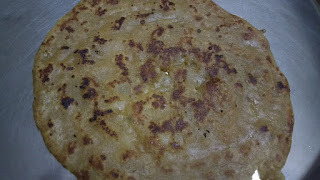 These wholewheat pancakes in particular are my hubby's favourite. Each time he would demand for them post dinner, my MIL and I would give him dirty looks but eventually, he would have his way! Now my son too loves them. 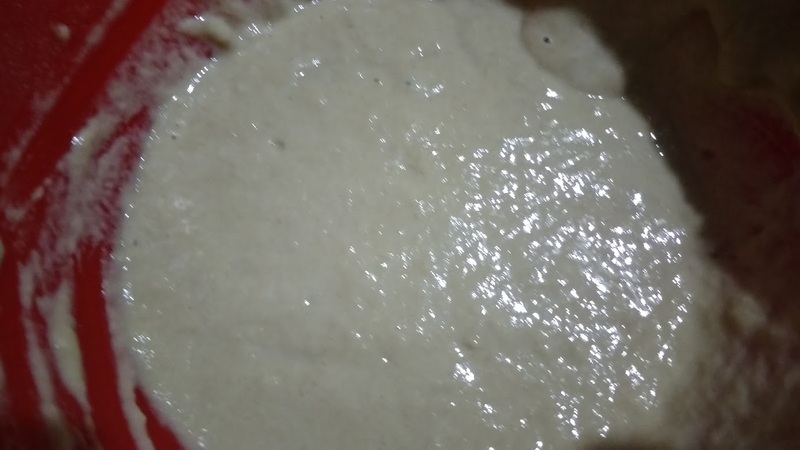 I am posting the basic recipe here. 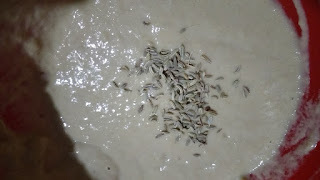 You can add mashed banana, nuts etc as per your choice. 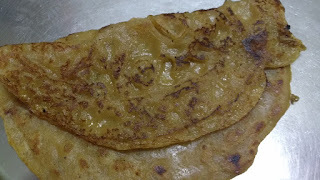 The saunf and jaggery are very good for digestion and wholewheat flour too is easy on the tummy! 1. 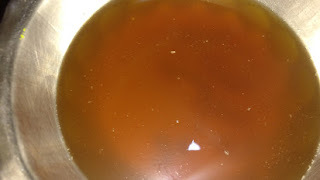 Dissolve jaggery in water. 2. 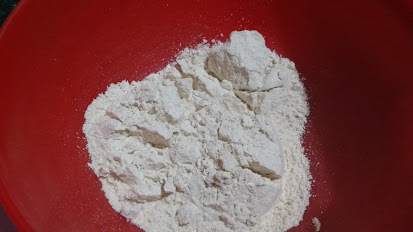 In a bowl, take flour. 3. 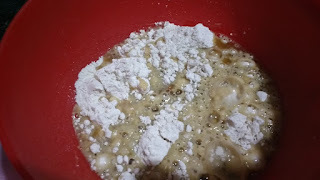 Slowly add the jaggery water and mix well to form a slightly thick batter. 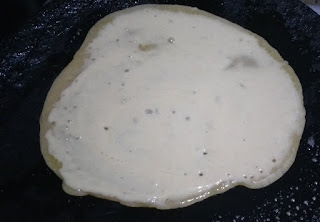 The batter is slightly thicker than the pancake batter else the pancakes will stick on the tawa. 4. Add the saunf and mix well. 5. Heat a tawa and grease well with oil. 6. Pour the batter in circular motion. 7. Pour oil from sides. Flip only when one side is cooked well and cook from the other side as well. 8. Serve hot. You can sprinkle some castor sugar or honey or syrup on top but I didn't as my son loves these pancakes just like that. 1. 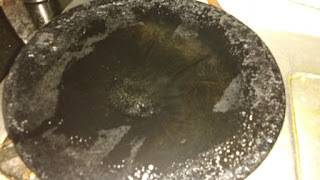 I am used to preparing this on an iron tawa however, if you are a beginner, I suggest play safe with non stick pan. 2. 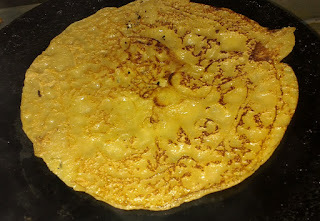 Many a times my pancake used to stubbornly stick to the tawa despite the temperature being right. I then discovered that excess sugar led to this. So, ensure the sugar quantity is not too much. 3. The key to a good pancake on iron tawa is the right temperature. Too much or too less can lead to a broken pancake. 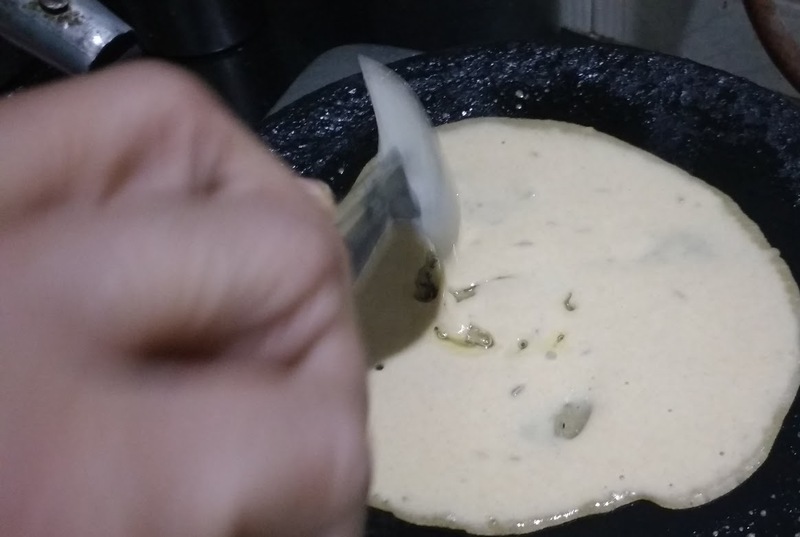 Heat the tawa adequately before pouring the batter and then reduce the flame to medium. Then once one side is done, flip and cook on medium to low flame. 4. 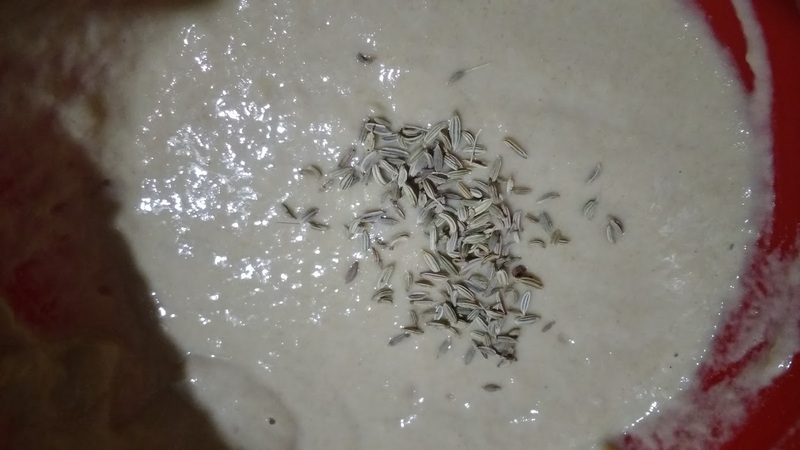 You can add mashed banana, nuts, cardamom powder and many other variations as per your choice. 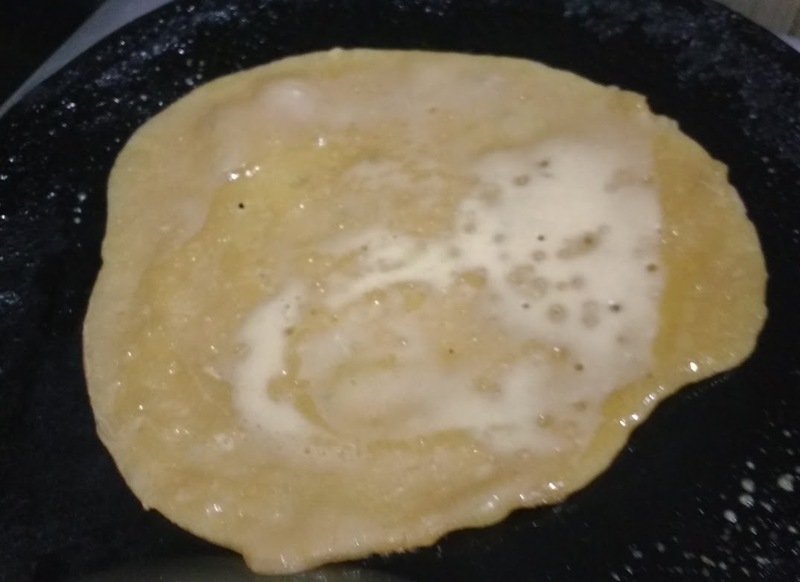 Nice Pancake..I also tried in this weekend a pancake variety will post it soon..!